Staying out of data before the end of the month is a more common problem than you might think, and can really be a nightmare if it happens at the least expected moment, such as in the middle of summer, when we are posting all our photographs in social networks. 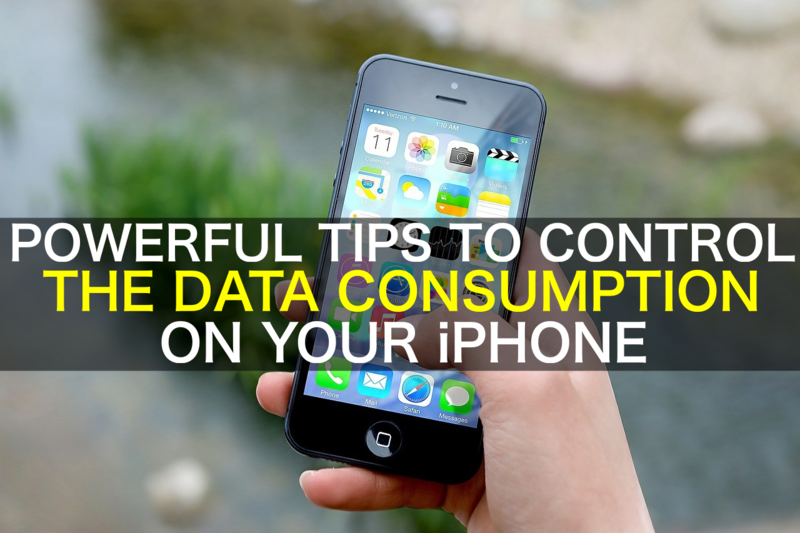 So, here are some tips that you can take into account to save data on your iPhone. Let us see how we can control our consumption of data on social networks like Facebook and other apps. The first thing to keep in mind is that the fastest application that ends with your megabytes is Facebook. The reason is simple, because it is a popular social network, sends notifications constantly and also has an infinite number of multimedia content such as GIFs, photos or videos that automatically play and other factors. Therefore, it is advisable to control the use of this app, with topics as simple as disabling automatic playback if we are using mobile data. To do this, we have to follow the following steps. Go to the ‘Settings’ of the Facebook app on our iPhone. Then go to the ‘Account Settings’ section. Next, choose ‘Videos and Photos’. There we have to choose ‘Autoplay’. Select ‘Only with WiFi connections‘. In iOS 10 we have the possibility to review how much data has consumed for each application that we have installed on our iPhone. To do this, we only have to go to ‘Settings’, then go to ‘Mobile Data’, and there authorise the use of mobile data or choose only connect with WiFi. This way, you will notice that there are many apps that you could use only when you have a WiFi connection. In this way, you can avoid more data consumption. 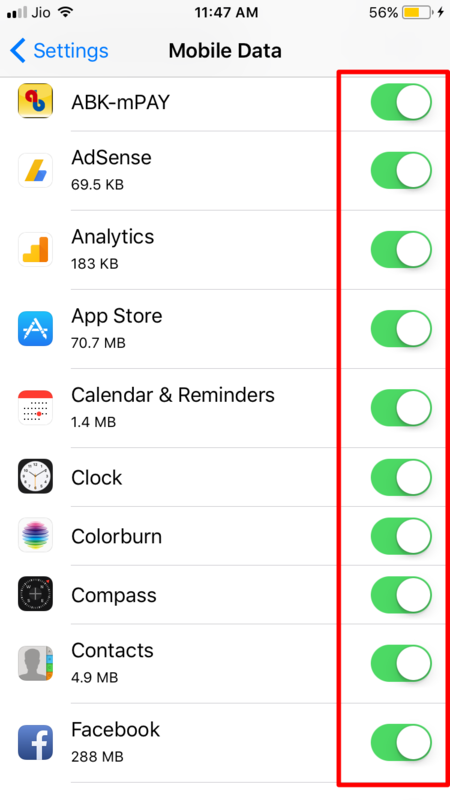 In addition, this section not only shows us how much data we consume for each app we have installed on our iPhone but also allows us to reset this figure every time we finish our billing period, to take more control of our activity. Another move you can make is to turn off data in the background. This prevents apps from using your mobile data even if you are not using them at any given time. To do this you should go to ‘Settings’, ‘General’ and then ‘Update in the background’. On the other hand, if you are at a time of day when you know that you do not need your mobile data at all, the most advisable thing to save is that you deactivate it. You only have to go to the ‘Settings and go to the section ‘Mobile data’ so that you can disable this feature. 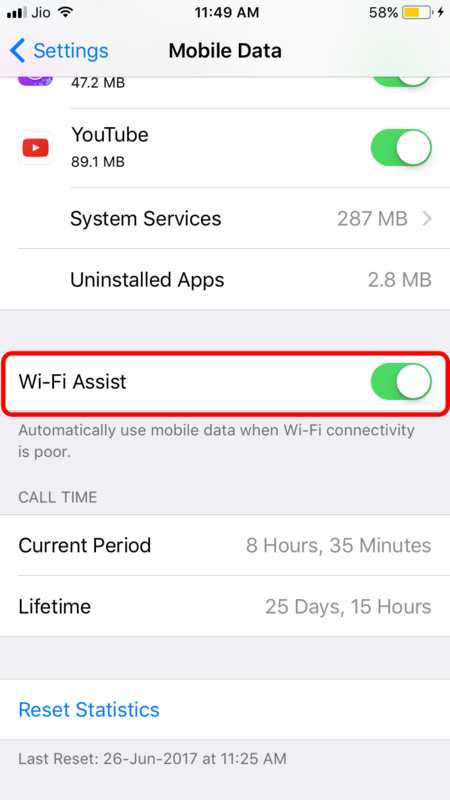 The ‘Assistance WiFi’ is also a feature that can turn off to save data. Remember that this function is to prioritise the speed and quality of the connection so that if you reach a point in the house where the WiFi signal was very weak, the iOS device automatically switches to the mobile network if it is better to offer a better user experience. Finally, there is a topic that you can control and that is related to the data consumption of streaming apps. What they should do is turn off ‘high-quality streaming’ on Apple Music, Spotify and Netflix. In the case of the music service of the firm of Cupertino, they should go to the ‘Settings’ of the telephone, then to ‘Music’ and there in the section of’Cellular data’ deactivate the High-quality transmission’. In Spotify, it works differently since the adjustment is done from the application itself, in ‘Configuration’ and in the ‘Quality of the transmission’ option. For Netflix, we also have to enter the configuration of the app and there choose the low video quality. That is it!. This is how we can save our data consumption on our iPhone. If you know any other tips or tricks for saving mobile data, share them with our readers in the below comment section. If you have any queries regarding any of the setting on iPhone, let us know in your comments. We will get back to you to solve all your queries as soon as possible. Which methods do you use to save mobile data usage on iPhone?